Special Note: We are extending the TGRWT#19 deadline to October 5th! Hot on the heels of TGRWT18, Martin Lersch was foolish kind enough to let me host TGRWT 19. 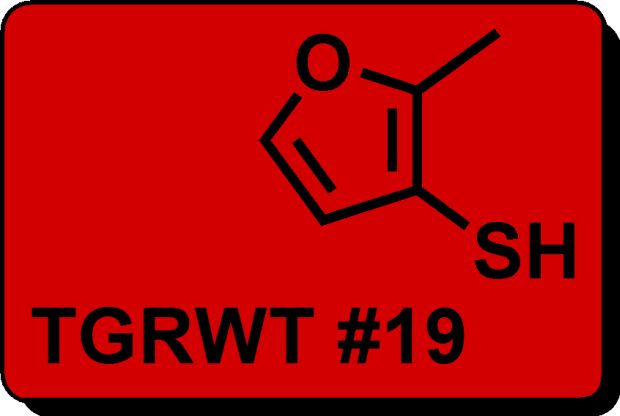 In case you've forgotten, They Go Really Well Together (TGRWT) is a challenge where you are encouraged to find creative ways of pairing flavors (that may sound unusual) but have one or more key odorants in common. I've written and quasi-contributed to TGRWT several times, mostly cause I think it gets you thinking about food. If Michael Pollan is right, then now more than ever we need ways to inspire people to actually cook. This isn't a competition, as such there can be no winner and there will be no fabulous prizes. But, maybe, just maybe, you can use this to get your creative juices going, and find your way back into your poor, neglected kitchen. I wanted to choose common ingredients that were familiar, seasonal and could still be exciting for people to riff on. I also wanted to choose things that would let our vegetarian/vegan friends contribute. While you go and look at the fancy logo and the guideline, I'm going to go and enjoy a refreshing, venti tomato-chai latte. Ciao! I am Jack's Fancy Logo (color coded with the ingredients). Prepare a dish that combines tomato and black tea. You can either use an existing recipe (if there is any) or come up with your own. Take a picture of the dish and write an entry in your blog by October 1stOctober 5th with TGRWT #19 in the title. Readers will be particularly interested in how the flavour pairing worked out, so make an attempt at describing the taste and aroma and whether you liked it or not. A round-up will be posted here (with pictures). Please send an email to pablo.escolar.tgrwt@gmail.com with the following details: Your name, URL of blog, URL of the TGRWT #19 post and a picture for your entry in the round-up. If you don't have a blog, email me your name, location, recipe and a brief description of how it worked out and I'll be glad to include it in the final round-up. Hmmm, Black Tea. For those of us with Zero knowledge of tea what should we look for when buying it……. common household name? Thanks Pablo, so it’s just your run of the mill tea’s. I’ve never drunk tea other than once or twice when young. Will have a talk to some local tea Guru’s. Like the pairing and I should be in with an entry. Huzzah! I just re-discovered TGRWT with just enough time to hopefully make a submission. I am the opposite of brianemone – my girlfriend and I have dozens of types of teas. A thought for a recipe immediately sprang to mind and I sincerely hope that I get those tomatoes soon. Plus, it’ll hopefully help to reboot our blog, which we updated a few times and promptly neglected for months, despite cooking a number of pretty cool things. P.S. As for the tea, I think just asking for something to pair with tomatoes might result in too many assumptions about the dish you want to make. It’d be better to work your way backwards. Describe the flavors YOU think go well with tomato, then ask them to match that. Firstly, you probably don’t want something flavored. The decisions beyond that are bitterness, amount of body, and the natural flavor profile (which will probably be much more subtle if you’re cooking with it). And don’t use Lipton. If you’ve ever had loose leaf, then go back to Lipton… I can’t even think of an analogy. There’s a world of difference. Just never use Lipton. A perfectly reasonable question! I will have the roundup post done by monday night (Oct12). I’m such a liar! But the post is just about done. Check back in a day or so. Ok post is up. Yay me. Thanks everyone who contributed!